Since July 2015 Berlin-based artist DAVID HANES is sharing an image a week to keep the doctor away. More literally he is modifying with the help of photoshop views of exhibitions that I visited. A few of those pictures specially created for wfw are currently on view in his solo exhibition entitled Softshare. 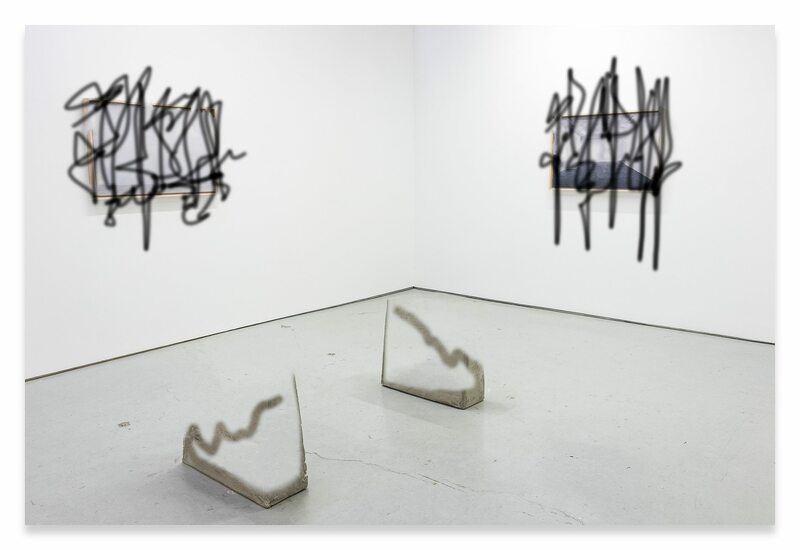 The image above is an installation shot of his show that he altered digitally. Softshare is running at Birch Contemporary in Toronto until November 26, 2016. For those of you who can’t make it either because you are too far away or you don’t get a slot, you can browse his previous contributions for wfw here.